Trying to turn my sons room into something less deserving of a hazard sign. 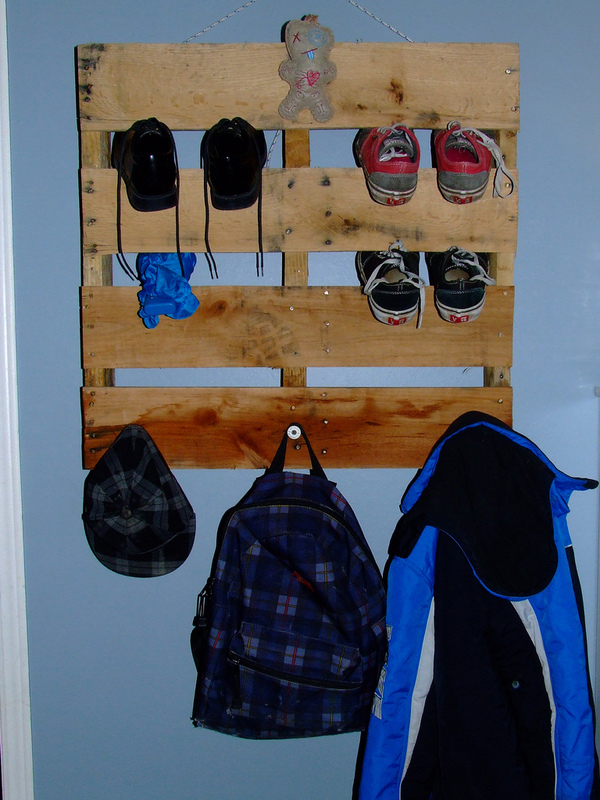 We hung a pallet, I then used some old thread spools that are empty and screwed them to the bottom so he can hang his school gear up. Yeah yeah.